Trial ring option - try the ring design that you like before you buy! 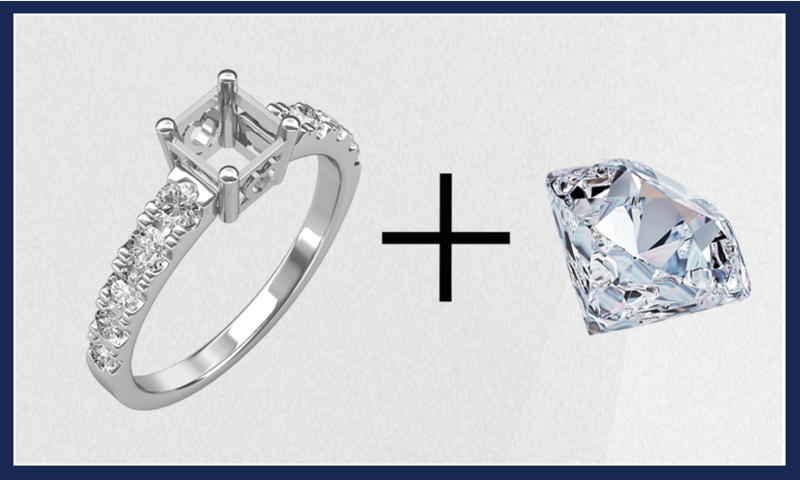 Complete customization options - Create Your Own Ring. 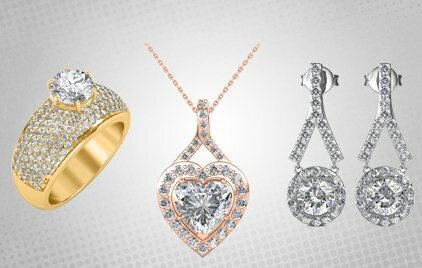 Sarvada Jewels presents an exclusive collection of engagement and wedding rings. 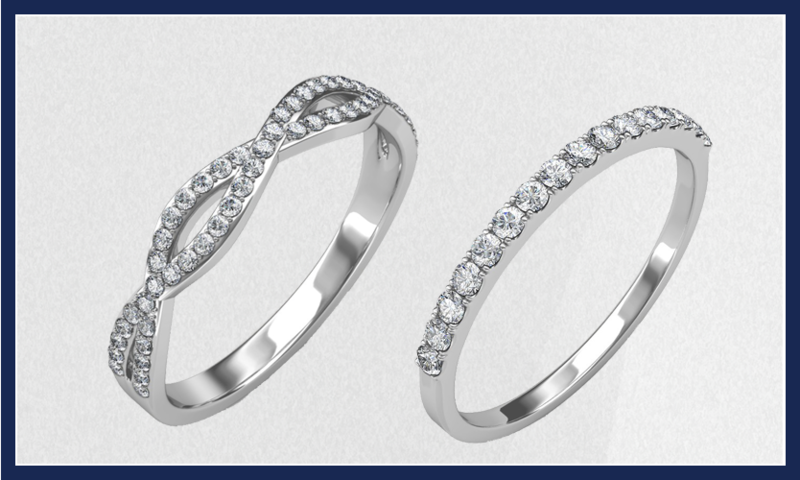 We offer solitaire diamond engagement rings in all diamond shapes, sizes and qualities in gold and platinum. You can choose a ready-to-buy ring from our collection of preset engagement rings or you can design your own engagement ring. All engagement and weddings rings are certified by reputed, independent laboratories such as GIA - Gemological Institute of America and IGI - International Gemological Institute and have BIS hallmarking. 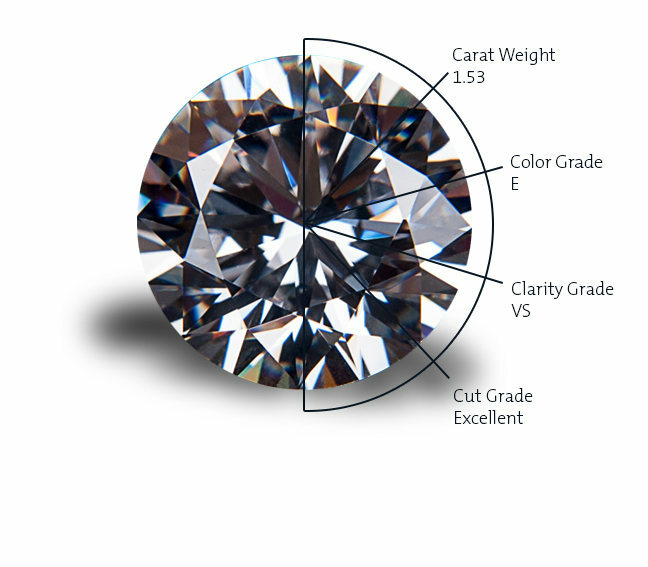 We also offer a trial engagement ring whereby you can check the design and the diamond size from the comfort of our home before purchasing the actual diamond ring. 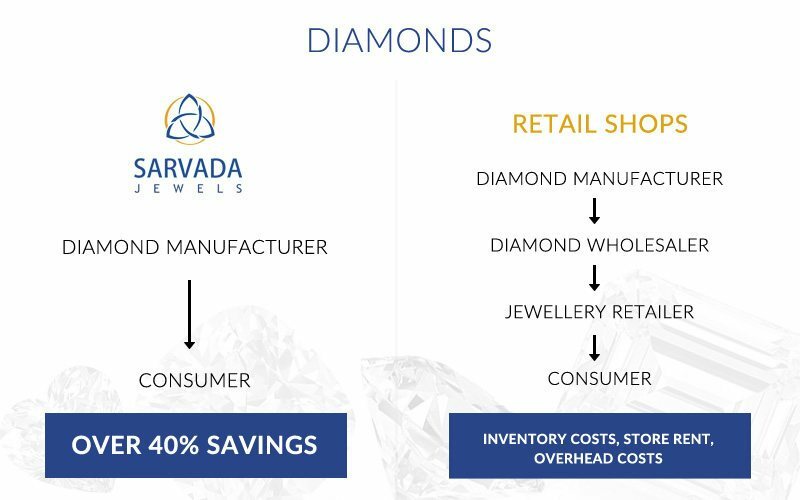 A free one-on-one consultation with Sarvada Jewels' diamond experts will help to understand about diamonds and assist you in selecting the perfect solitaire diamond. 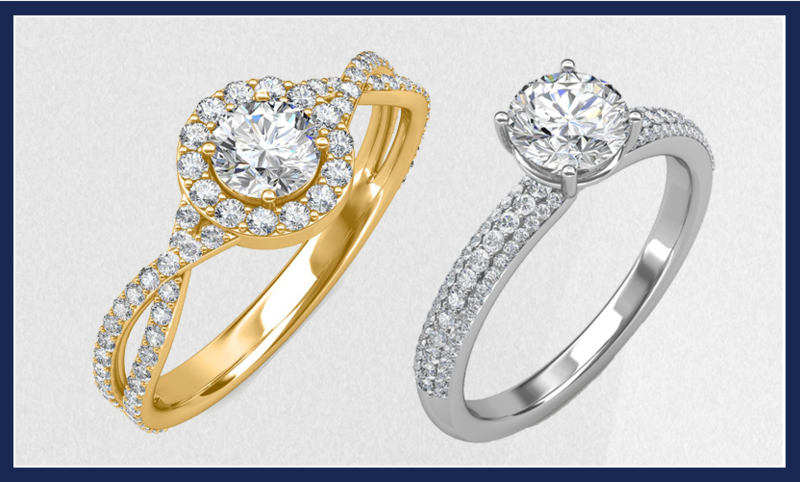 Buy online from our collection of engagement rings to save 40% on retail prices of diamonds. 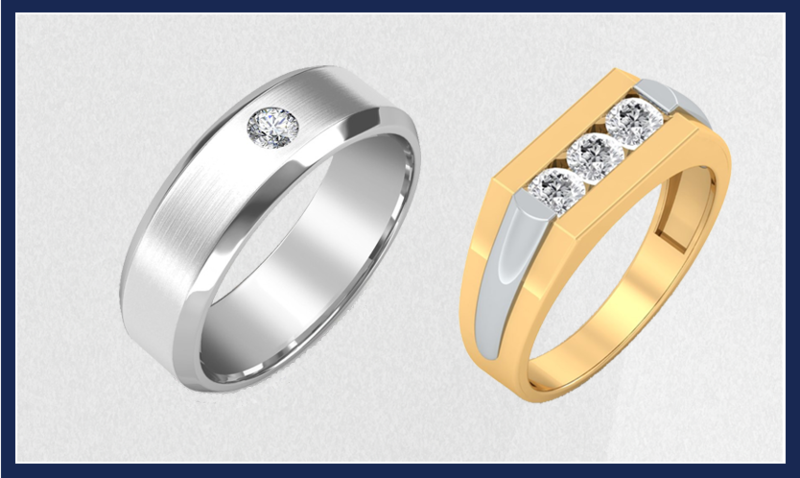 Engagement Rings available in white gold, yellow gold, rose gold and platinum. 1 carat diamond engagement ring, 2 carat diamond engagement ring and more. All engagement rings are expertly crafted by master craftsmen with intricate detailing.